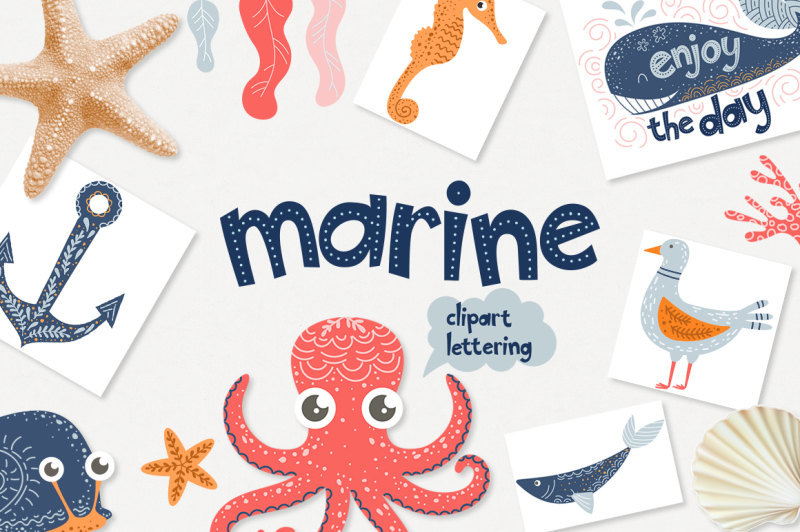 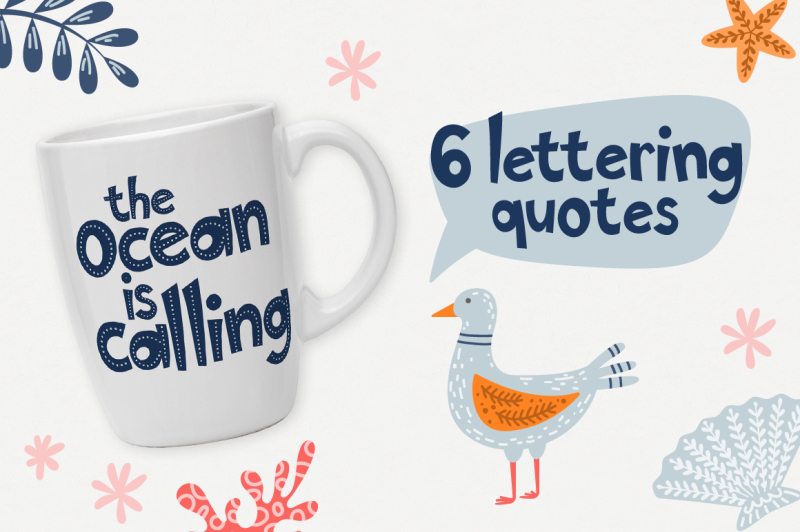 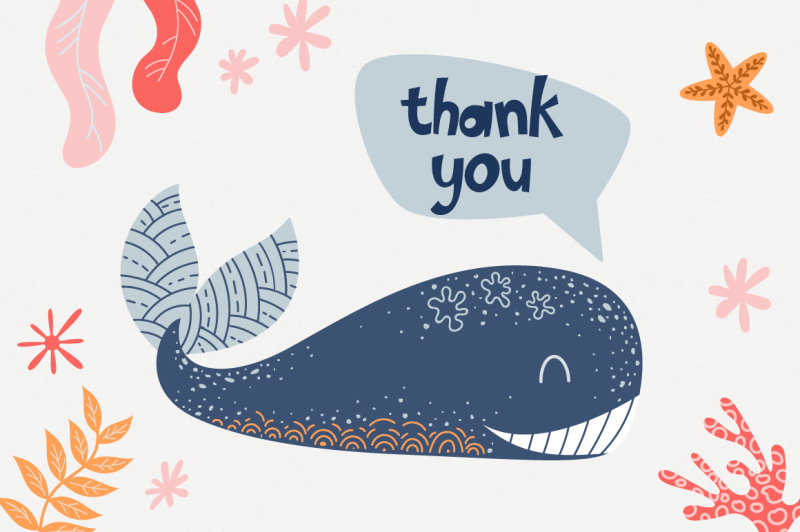 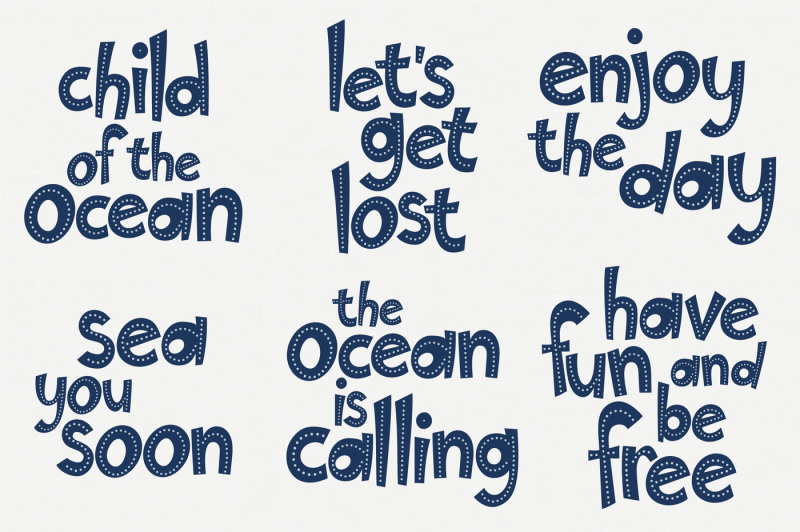 I'm happy to introduce you this wonderful Marine - clipart and lettering collection! 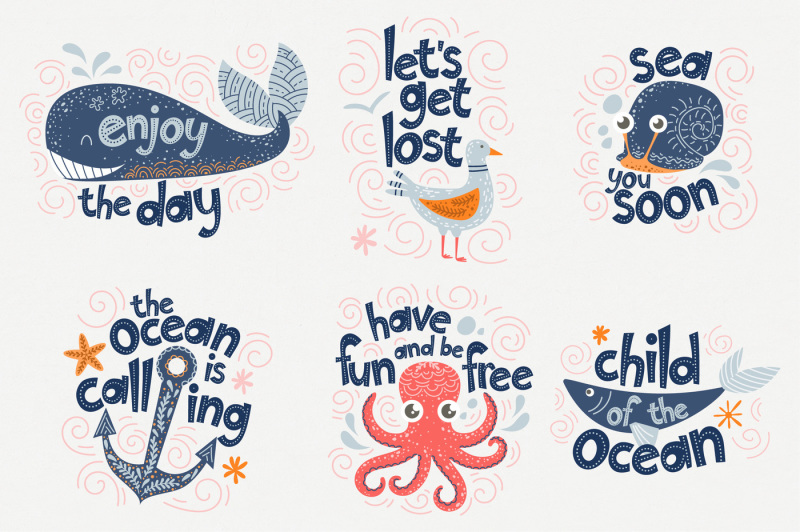 This vector set includes graphic elements, lettering, pre-made posters and seamless patterns. 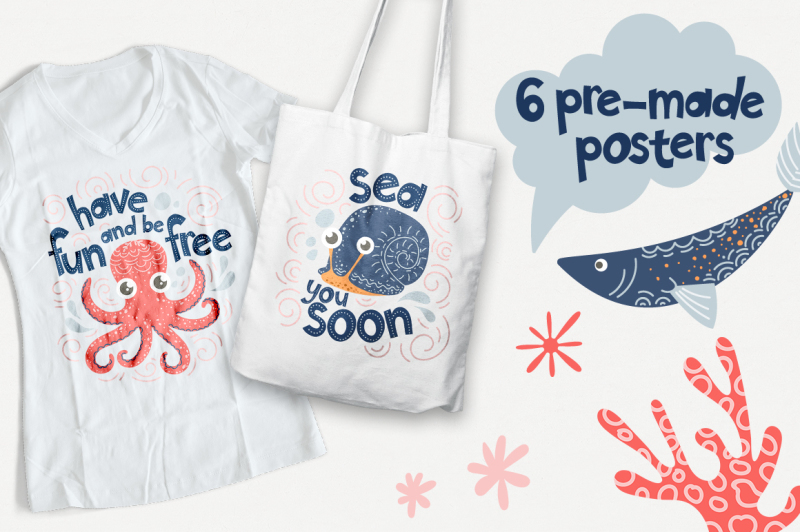 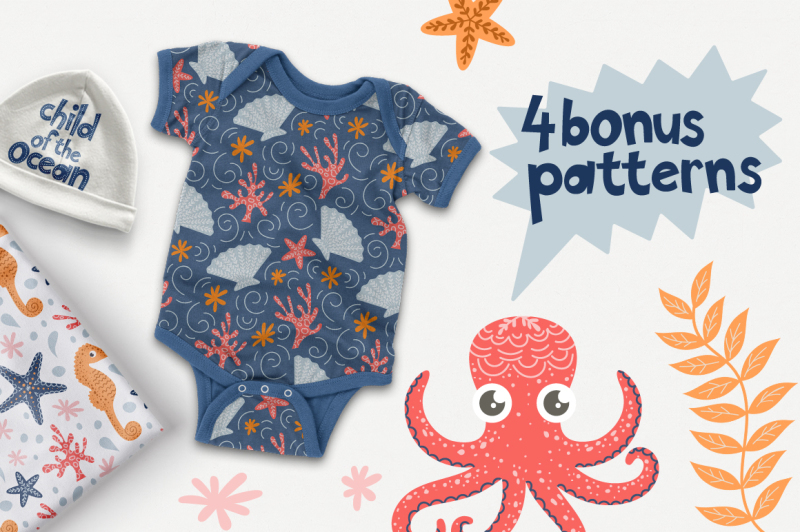 Marine clipart collection is perfect for kid's clothing, room wall art and products for kid. 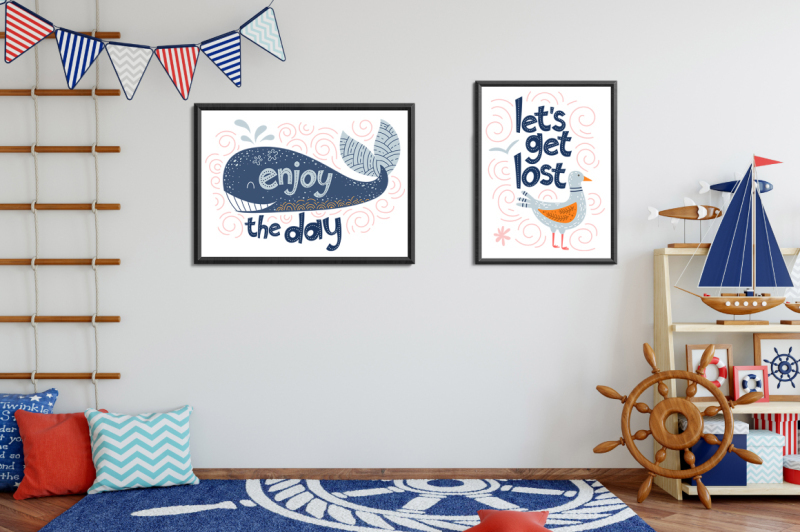 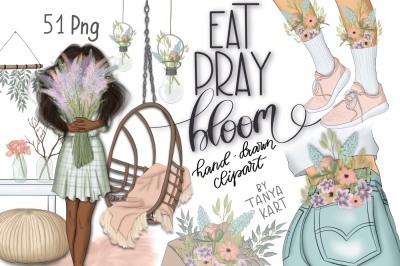 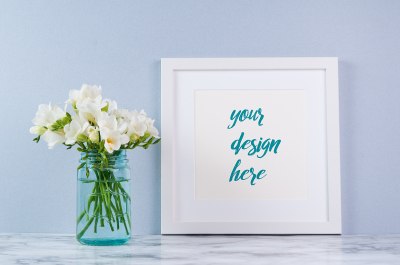 You can use these graphics collection to create nursery decor, prints and posters. 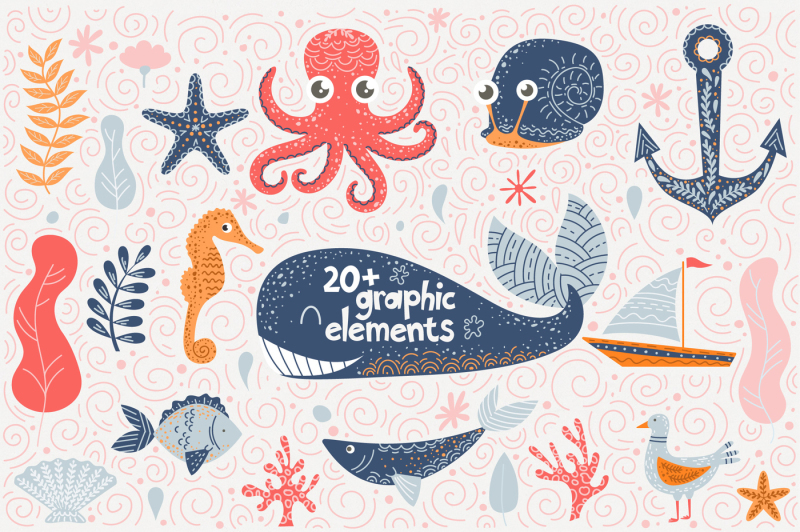 Also you can make your own design with the elements of this graphic set! 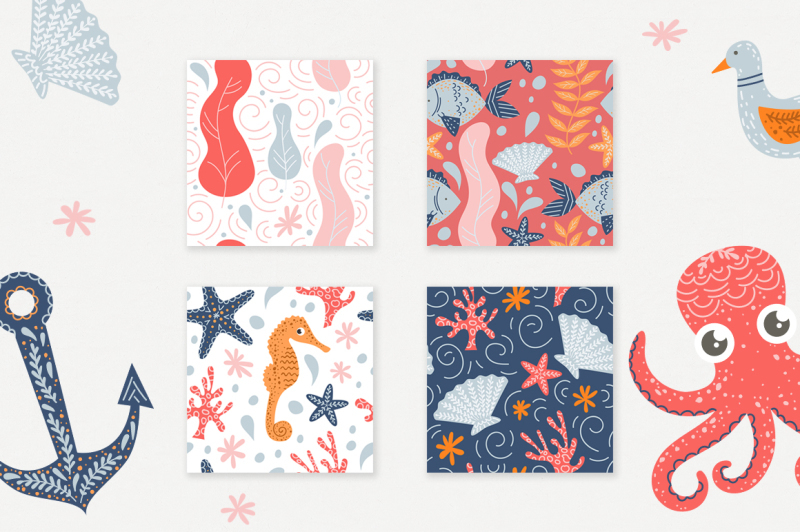 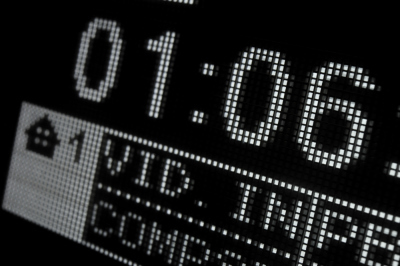 4 seamless patterns (EPS + JPEG).